Snapchat remains one of the most popular apps in the key 16-24 market, making it into a powerful social media marketing tool with viral potential — 70 million Snapchatters play with AR lenses everyday. Snapchat’s daily average users (DAU) peaked just this year at 191 million in Q1. Almost 44% of the user base comes from North America. What’s more, Snapchat’s audience is primarily Millennials and Generation Z – a user base which is notoriously hard to engage. 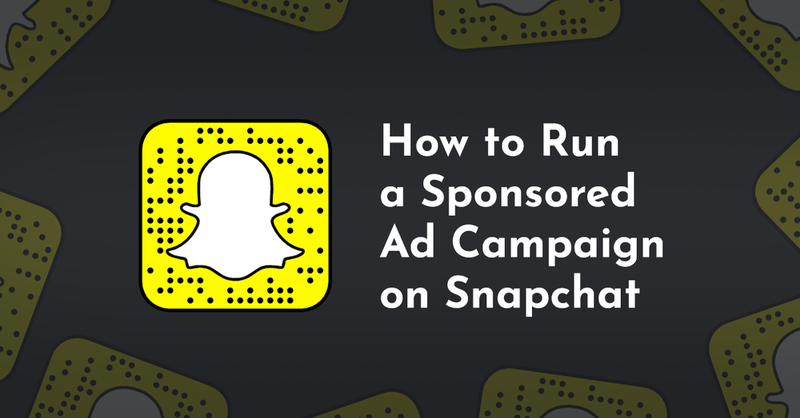 Below is a breakdown of how exactly advertising with Snapchat works and some of the most cost-effective parts of their system. Stylistically, Snapchat breaks its ad system down into three general applications – world lenses, face lenses, and face and world lenses. World lenses are taken with the front facing camera. Face lenses are taken with the rear-facing camera, AKA the selfie swivel. Face and world lenses allow for totally unique experiences on both the front and rear-facing camera. World and face lenses offer distinct opportunities for advertisers. We’ve written a little about this before – so make sure to check out why Snapchat was one of Gatorade’s big advertising wins during the Super Bowl. For many, Snap Ads are a full screen advertisement which pops up in-between flipping through friends’ stories or other content. These Snap Ads start at $3,000 per month even without factoring in agency costs or content creation. Sponsored Lenses are another area entirely. Audience targeted lenses start at $40 per day plus an agreed upon cost per impression rate of $8 to $20. This price varies depending on the day of the week. Fridays and Saturdays often command a higher rate, and holidays or specific events are several steps higher up. Snap Ad to AR ads require the viewer to swipe up on the ad to get a look at the lens, or link directly to articles, photo galleries, or other interactive content. Prices for augmented reality ads start at $3 to $8 per impression. Even better, the daily cost using Snapchat’s self-serve platform can easily be as low as $100 per day. This is much more affordable than a Sponsored Lens or a traditional Snap Ad. One of the best examples for a Snap AR campaign came from BMW. Viewers could swipe up and go to a virtual showroom where they were able to inspect a BMW X2, not to mention check out everything from the hubcaps to the detailing on its grill. But Snapchat hasn’t stopped with virtual product tours. They’re also pushing new e-commerce tools through the Snap Store and, perhaps most importantly for targeted advertising, location specific filters. In April 2018 Snapchat introduced a new series of buttons which represent a major shift in advertising tools – especially for anyone interested in Snap Ad to AR. These buttons lend advertisers a variety of options depending on the campaign’s goal. Snapchat’s push for more e-commerce is shown best through their partnership with Air Jordans for the launch of the Air Jordan Tinker III sneakers during the 2018 NBA All-Star game. Anyone at the Staples Centre in L.A. was able to wander around and use the world lens to check out a host of location-specific augmented reality features. At a press conference later that day users were able to scan an in-app QR code. The Tinker IIIs were purchasable exclusively through Snapchat’s Snap Store. They sold out in 23 minutes. It’s no secret that Snapchat has been exploring geo-specific companies like Zenly. Snap Map was a game-changer which cost $213 million according Snap Inc.’s SEC filing. Since then Snapchat has rolled out even more location specific advertising tools. Advertisers or campaign managers can target their AR ads or lenses to not only states or cities, but locations like beaches or movie theatres too. Snapchat also offers something they call ‘radius targeting’ where brands can target a specific area. The potential here is almost limitless. Shooting a movie in an area and want to build buzz? Radius targeting. Interested in building hype at a one-night-only premier? Target by location. We’ve already seen the success of geo-filters through campaigns like Taco Bell’s Cinco De Mayo push or Netflix’s partnership to support the Gilmore Girls relaunch. Perhaps the most affordable Snapchat ad is a local geofilter. Reports indicate that these can be as cheap as $5 per 20,000 square feet. With that said, this price can easily balloon to $20,000 or so depending on its targeted radius not to mention if it’s on a holiday. Local, on-demand geofilters are open to everyone provided they have the app. It’s the perfect tool for testing what might one day turn into a National geofilter or to simply stretch some creative muscles. For a primer on how to get cracking check out buffer’s article for details. So now that we know what our options are, how do we generate targeted content? Thanks to Snapchat’s 2017 partnership with Oracle Data Cloud advertisers now have access to out-of-app browsing information provided users haven’t opted out. Using Snap Pixel, which is very similar in user interface to Facebook Pixel, you can get a better handle on your customers’ interests. Interested in taking your ad-game to the next level? Reach out to our team to learn more about creating a custom AR experience for Snapchat!